Am thrilled to be performing at Songwriter’s Beat first concert in Boston! 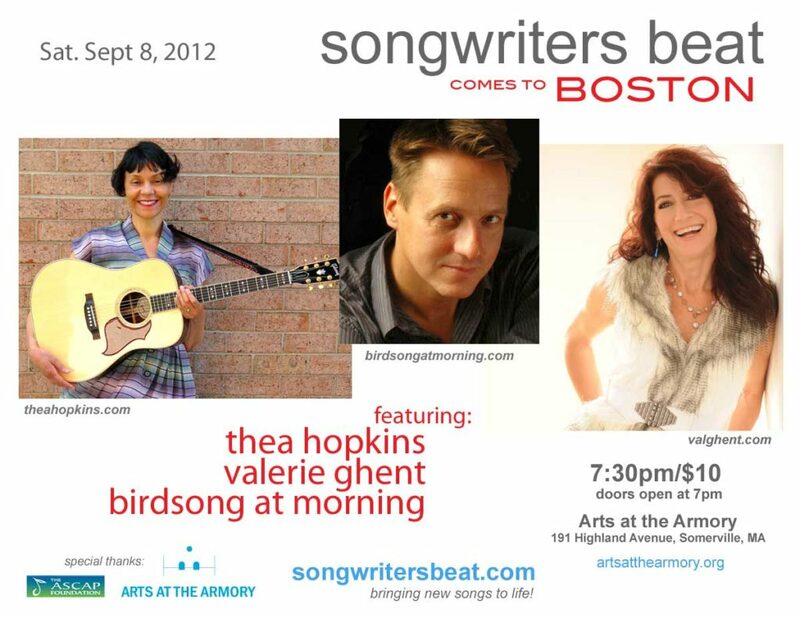 On Saturday, September 8th, I’ll share the stage with stellar songwriters Thea Hopkins and Birdsong at Morning at a lovely venue, Arts at the Armory. And that’s not all – I’ll be performing with Valerie Simpson at Boston’s famed jazz club, Scullers, the night before! If you’re in the Boston area, make sure to come! If you’re not in Boston, please join us! Come for the weekend – September 7th at Sculler’s and September 8th at Arts at the Armory – and catch both shows!